Traditional cuisine in Ohio mirrors that of the region: from sauerkraut and bratwursts to beefsteak and hearty breads. But culinary schools across the state will have aspiring chefs cooking up more than just buckeyes and strudel. Cooking programs offer a range of options in a variety of traditional and emerging cuisines, preparing students for promising careers as the next up-and-coming head chefs. Narrow down your options by looking for programs that have some key components for your culinary training. Most importantly, look for a quality training kitchen that is fully stocked and run by students. It should also be open to the public and, preferably, used in conjunction with a student-run restaurant or public dinner nights. The hands-on training will be essential to your development as a future chef. Next, look for experienced instructors or industry professionals teaching the classes. Finally, look for career-counseling and job placement services, as well as opportunities for internships and apprenticeships. After you’ve decided on a program, the admissions process should be easy. Most culinary programs have an open admissions policy, meaning that students are only required to have a high-school diploma or GED for acceptance. If you decide on a program that is more competitive, you may have to submit to testing of basic kitchen knowledge and techniques. Work experience and other training, such as attendance at conferences or workshops, may also be considered. You won’t age like a fine wine in the time that it takes to finish your culinary degree. Most programs can be finished in half the time of a traditional degree – in about two years or less. Some schools, such as Sinclair Community College, have options for accelerated degrees, and offer certificates or diplomas that can be finished in a year or less. Also look for programs that have night and weekend classes, summer sessions or online classes if you need more flexibility for things like work or family. Though most culinary programs are campus-based, there are some options for online degrees. Video instruction is available in some programs to learn some cooking techniques right in your own kitchen. More typically, online courses would be offered to compliment previous lab or kitchen experience to finish your degree. Hospitality and restaurant management courses are often offered exclusively online. Top chefs in Ohio can expect to make an average of about $43,000 a year, according to the Bureau of Labor Statistics. But the average will lower according to your ranking in the kitchen, from sous chef to line cook. Position won’t be the only factor determining your salary though. Years of experience, geography and the type of business you work for will also be significant factors. Hotels and resorts, spas and personal-chef services will offer the most competitive salaries. To improve your chances of getting the top jobs and the top salaries, start networking early in your career – even while you’re still finishing your education. Get internships and apprenticeships, and enter competitions at local food and wine festivals to showcase your skills. Festivals will also give you a chance to meet local celebrity chefs and other industry professionals. 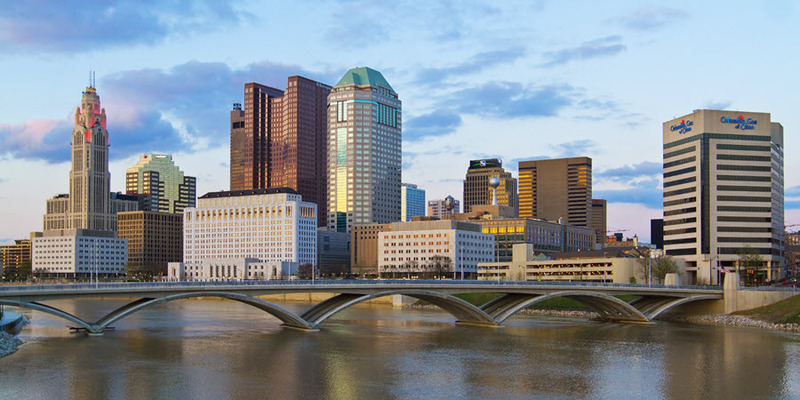 Joining professional networks such as the Ohio Restaurant Association will give you the same opportunities, and will give you access to conferences and other industry events. I’m looking for a college where I can start with my basic culinary techniques, but then I would like to get my culinary degree along with a baking and pasty diploma. I do not know where to start looking ? Also looking for business classes along with it.